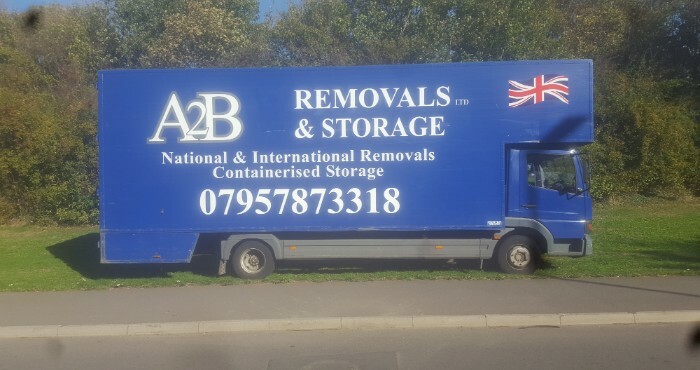 Established in 1982 the A2B Removals Company in Sheffield provide a reliable, professional service for the household, commercial and office removals industry. We operate various sized vehicles locally and nationally. A2B House Removals Sheffield can get you there whatever the size of your move. Most removals are undertaken on an hourly basis, depot to depot. However, we are more than pleased to come along to your home giving you a fixed price. Our estimator will listen to all your requirements, so remember to tell him everything that might be of consequence. We will then contact you by your preferred method – mobile, text or in writing – giving you our charges. There is no deposit necessary as we are happy for you to pay us when the work is complete on the day. You won’t find a more professional removals service in the city, we can guarantee that. We are able to dismantle furniture so please have the necessary tools at hand if this is your requirement. They may be specific to that item of furniture. We can disconnect all of your appliances, however, please ensure that the refitting of them can be guaranteed with the appropriate fittings in your new home. If you wish to leave sets of drawers and deep freezes full, we will take care of them. Our trained uniformed staff are our best asset. We will certainly attend to all your needs on moving day. The A2B Removals Company can make the entire house removals process as stress-free as possible. So why not give us a call or fill out the contact form for a callback and a quote. Goods in transit insurance is included in our prices (currently 25,000 per removal). This applies to customers have packed their own goods, as well as those who took advantage of our quality packing services. Everything going on our vehicles is wrapped and then secured for the safest possible transport. We pride ourselves on taking great care of your goods whilst they are with us when relocating and in storage. Over 30 years of moving households have taught us that no relocation is ever the same. Once you know that you will be moving to, get in touch with us and one of our staff will consult with you and assess the contents of your household, the size of your relocation, access to your property, specific arrangements and requirements for any of your items including any fragile possessions that you may want us to move. We can answer any questions about any concerns that you may have regarding your move. Remember, A2B House Removals Sheffield Cost Less Than The Rest! We also have a great range of packing services available for you. From providing you with the materials so that you can do it yourself, to let our professional staff securely and safely pack your entire house. We can help you identify any of your items that may need special handling. Our full packaging service means our team will wrap and pack all of your items without risk of damage during transportation to your new home and carry out any dismantling and reassembling that may need to be done. A2B Removals Company in Sheffield can also offer you secure storage should you need to store some of your possessions, or even the contents of your entire house, for any period from a week to as long as you need. 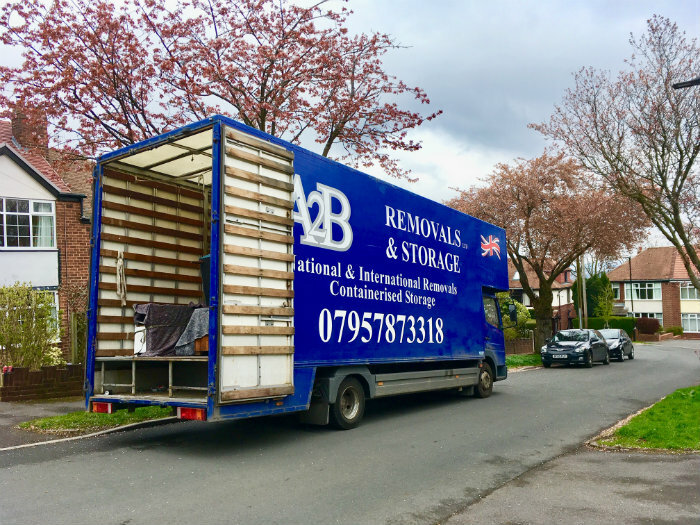 Our friendly staff here at A2B House Removals Sheffield are only too happy to answer any of your questions that you may have regarding any impending move that you may be preparing. Operating out of our Sheffield depot we cover all of South Yorkshire including, Rotherham, Chesterfield, Barnsley, Worksop, and Doncaster. We can assist you with your move to anywhere in the U.K and Overseas moves are not a problem for us! Remember you will be in safe hands with the A2B Removals Company in Sheffield. As a family business, over the years we have tackled just about every type of relocation within the South Yorkshire, Sheffield region. Also, long-distance moves both here in the UK and beyond. We specialize in domestic house removals, with flats & difficult to access properties not being a problem for our skilled and experienced removals team. We can relocate everything from your house safely and securely, stress-free with minimal hassle. For your LCD/Plasma TV’s we have state of the art carry cases. For your clothes, we use special mobile hanging wardrobes for transportation. Mattresses and sofas all get covered for a clean and damage free moving process. We have reinforced boxes of various sizes so that all your personal items can be packed and transported safely. You can also rest assured that all of your items are fully insured whilst under our supervision.